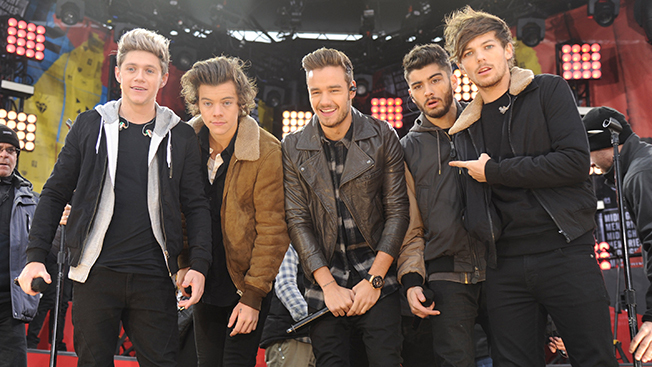 One Direction, the UK boy band with perfectly mussed hair, got the message about messaging apps. The group and its label Sony Music are reaching fans through a new campaign on Kik, the Canadian mobile messaging service with 95 million registered users. Kik is similar to apps like Line (which reportedly has 280 million users), WhatsApp, WeChat and Facebook Messenger. Most are free apps designed to help mobile users avoid the heavy data charges typically incurred from text messages. Messaging is seen as the next frontier for the youth market, and brands are only now figuring out the best ways to engage in the medium, where ads are typically non-existent. Boy bands like One Direction fit the target audience on Kik, a spokesperson for the app company said. The young teen audience is heavily engaged with these services, which are finding a few paths to revenue, including deals with brands and the sale of virtual goods. Kids buy add-on content like digital stickers, which can be branded too, and they share the digital goods in their messages. One Direction is taking advantage of Kik’s digital cards, which allow the group to share exclusive content and connect the band’s fans on the platform. The Kik promotion, arranged through digital marketing firm IPG Media Lab, is part of One Direction’s “Midnight memories” album release this week. Even Paul McCartney has turned to messaging apps to promote music. The former Beatle joined Line to promote his new album, and he has his own stickers. The boom in new mobile media is creating a challenge for brands and marketers, who need to come up with new ways to engage with audiences across a fragmented landscape. And even social media giants like Facebook also see a threat to business with the youth turning to new forms of mobile-centric communication. Facebook has pushed into this space, but there are concerns that the social network’s users are not as receptive to instant messaging through the platform. The company is working on new ways for users to message through Instagram. The social network could unveil new messaging capabilities this year. You only need to look at apps like Kik to see why.